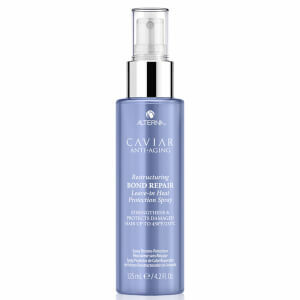 Create lasting styles while protecting hair with the Alterna Caviar Professional Styling Perfect Iron Spray. The heat-activated styling spray provides heat protection from hot tools (up to 450°F) and delivers light hold for style retention. 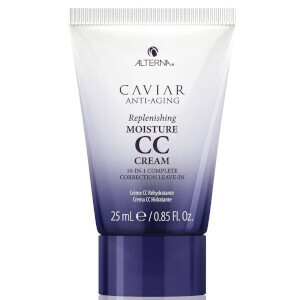 It's enriched with Caviar extract, a rich source of Omega-3 fatty acids that helps to restore moisture, elasticity and shine. Styling time is reduced and heat-styled hair is left feeling silky, frizz-free, shiny and protected. Water/Aqua/Eau, Alcohol Denat., Propanediol, Superoxide Dismutase, Polysilicone-15, Caviar Extract, Ascorbic Acid, Dimethicone PEG-8 Meadowfoamate, Silicone Quaternium-3, Amodimethicone, Saccharomyces/Magnesium Ferment, Saccharomyces/Copper Ferment, Saccharomyces/Silicon Ferment, Saccharomyces/Zinc Ferment, Saccharomyces/Iron Ferment, Phospholipids, Helianthus Annuus (Sunflower) Seed Oil, Panthenol, Polyquaternium-11, PPG-5-Ceteth-20, Trideceth-12, Polysorbate 80, Triethyl Citrate, Glycerin, C11-15 Pareth-7, Laureth-9, Hydroxypropyl Cyclodextrin, Disodium EDTA, Phenoxyethanol, Iodopropynyl Butylcarbamate, Fragrance (Parfum).